January 8, 2017 March 22, 2017 - by G.Hunter - 2 Comments. Winter is the most dangerous season for chickens. Not only the cold hurts and can even kill chickens but also the lack of daylight is bad for them. Every second of daylight a hen misses during winter can affect the quality of her eggs. Chickens during cold weather have less strength in their immune system. Even experienced chicken keepers sometimes struggle to keep their chicken affairs in order during winter. It is nothing to be ashamed of. Winter is the time of year when most chicken keepers make the most mistakes. 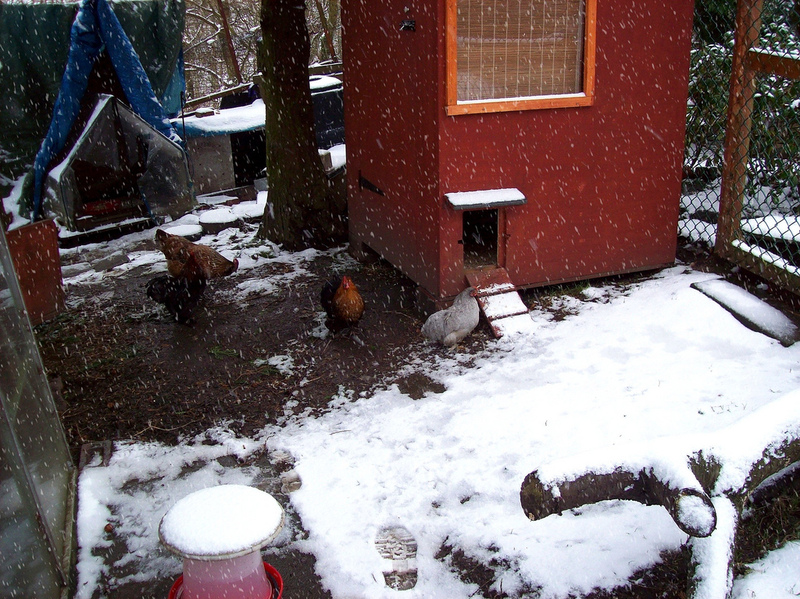 So, What Should You Do And What You Should Not Do For Your Chickens During Cold Weather? Do Not Leave Them Closed In The Coop During The Day! 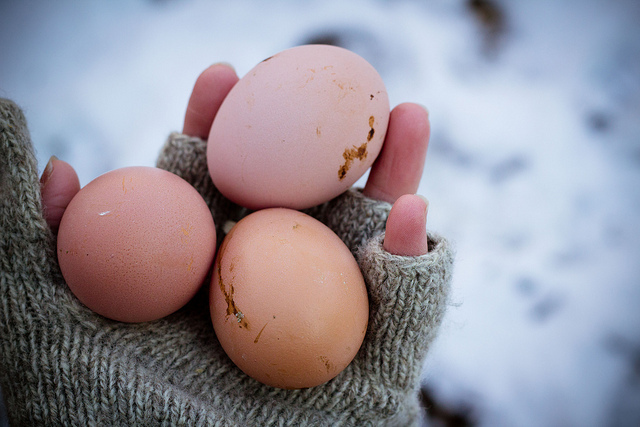 Do Spare Some Extra Time To Pick Up Eggs – Unless You Want Them Frozen! Even in winter, chickens need to stretch their legs. Staying in the coop without enough room to move will only make them stack up on energy. If that energy builds up your chickens will become aggressive. Furthermore, if your chickens maintain their regular diet but they don`t get their regular exercise they will get fat. Which is not good. Overfed chickens tend to get sick more easily than chickens on a normal diet. Before you argue in the comments, we are well aware that not every hen lays during the winter. Even though every hen does her best to keep her eggs warm, some cold and dry winter days are too much. Especially with infertile eggs. Furthermore, if the egg gets frozen the contents will buff up and the egg will crack. Even the smallest cracks can be a risk of contamination. Chickens literally enjoy frozen treats, but only in the summer. When the cold treats help them fight the heat. 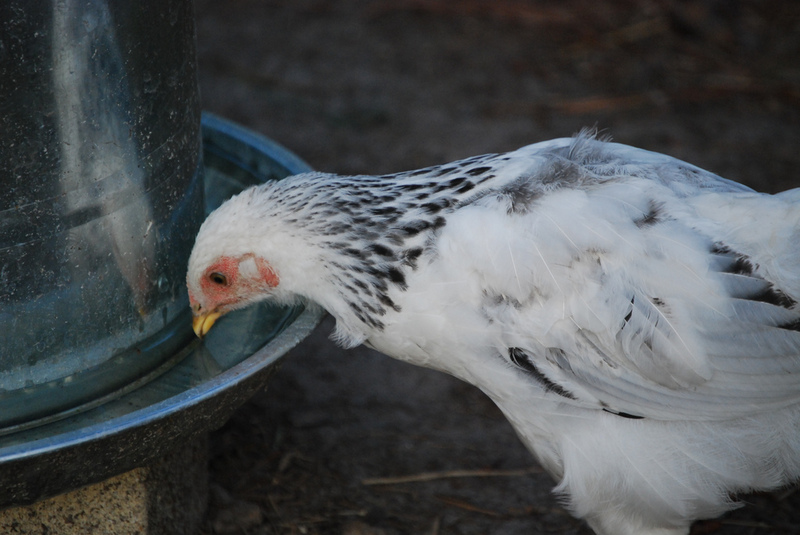 In the winter, however, chickens can be in an extreme danger from cold-related sickness if they are regularly exposed to drinking frozen water. Moreover, frozen water and cold beaks during the winter can be a combination that leads to serious beak injuries. Especially for younger chicks, cold water can disturb their stomachs even in the summer. Due to the lack of daylight, chickens stay inside their coop more in winter than any other season. This means that they have more opportunity to mess up their coop. With this reason in mind it is safe to say that during winter, chicken coops require more cleaning. The dirtier the coop, the more likely your chickens will get sick. Dirty chicken coops are a safe haven for all those bugs that managed to survive the first cold winter days. This is why every chicken keeper needs to have in mind the fact that during winter they need to clear more time for coop cleaning. The same goes for the chickens during cold weather. The more they stay inside in a crowded coop, the dirtier they can get. We are all well aware that chickens can be fed with leftover food. Chickens are omnivores and have no problem even eating leftover chicken. But, during winter even the strong chicken stomach can fall under duress if the chicken is not fed properly. Because of this, most chicken keepers agree that the diet of their chickens needs to be improved for the winter. Also, tea for your chickens is one of the best ways to keep your chickens warm while they are roaming in the chicken run. So instead of feeding your chickens your organic garbage bag, invest in some high-quality feed and make sure that they will not feel the winter cold. How do you handle your chickens during winter? Share your experience with us in the comment section below. 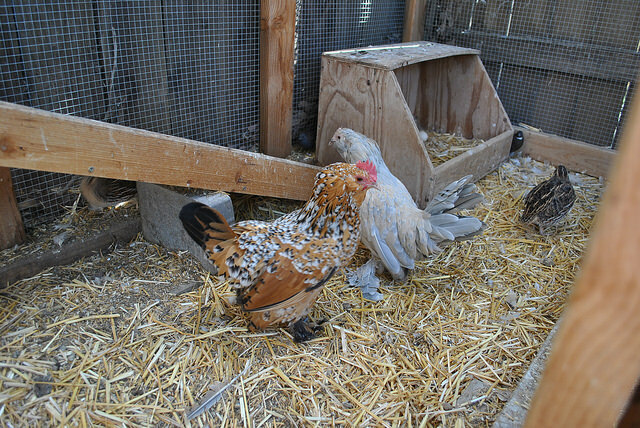 Next Article 3 Easy DIY PROJECTS To Keep Your Chickens Warm Without Heat Lamps!! Thank you for your feedback Linda.